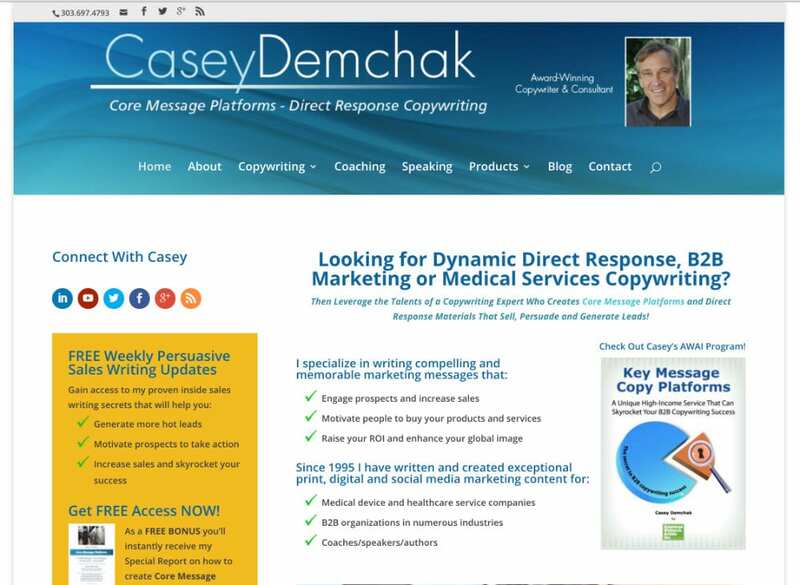 Casey Demchak is an experienced web-based business owner. While he lives and operates in Denver, he takes clients all over the world. 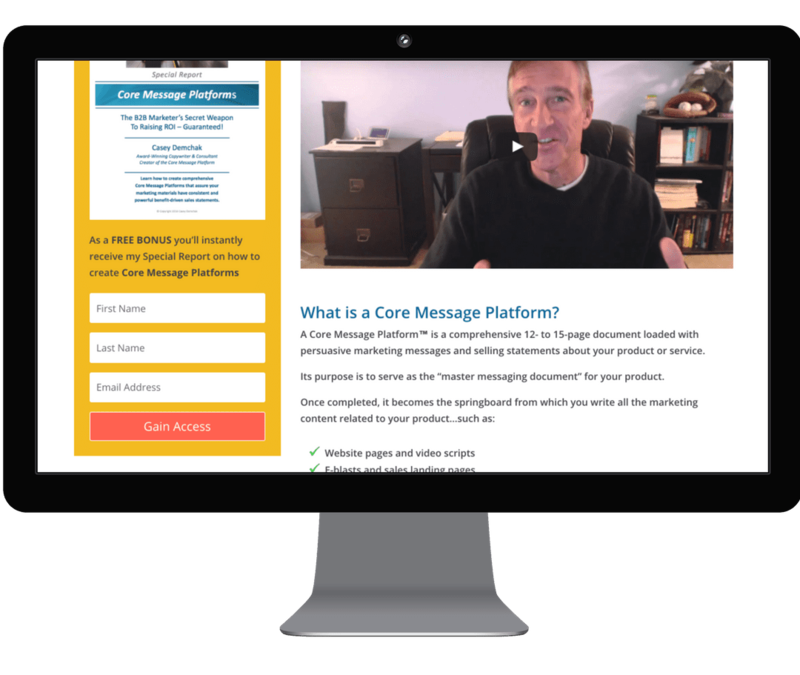 He needed a website to set him apart from the competition, showcase his sales copywriting capabilities, and make it easy for new customers to find him online. Email opt-in boxes directly integrated with Casey’s email marketing provider, MailChimp (we automated his email marketing, too!). The blog’s modern card-style design supports the strong visuals that Casey provides. The blog also integrates with all modern RSS feed types, allowing anyone to subscribe via RSS reader. 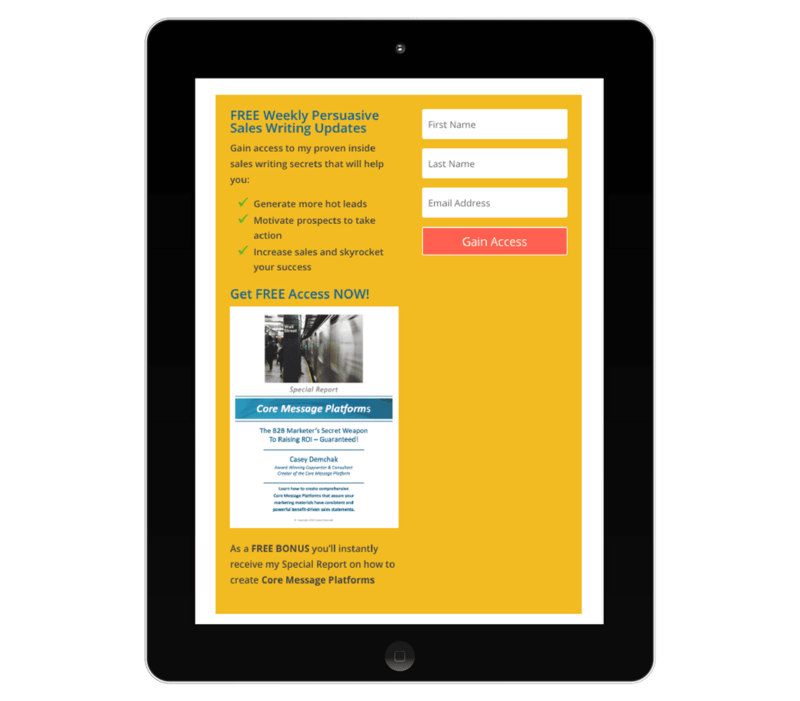 Downloadable PDF whitepapers set up as tracked conversions, directly tied to the MailChimp email opt-ins. Videos placed throughout the website with a clean look and feel and fast-playing performance. 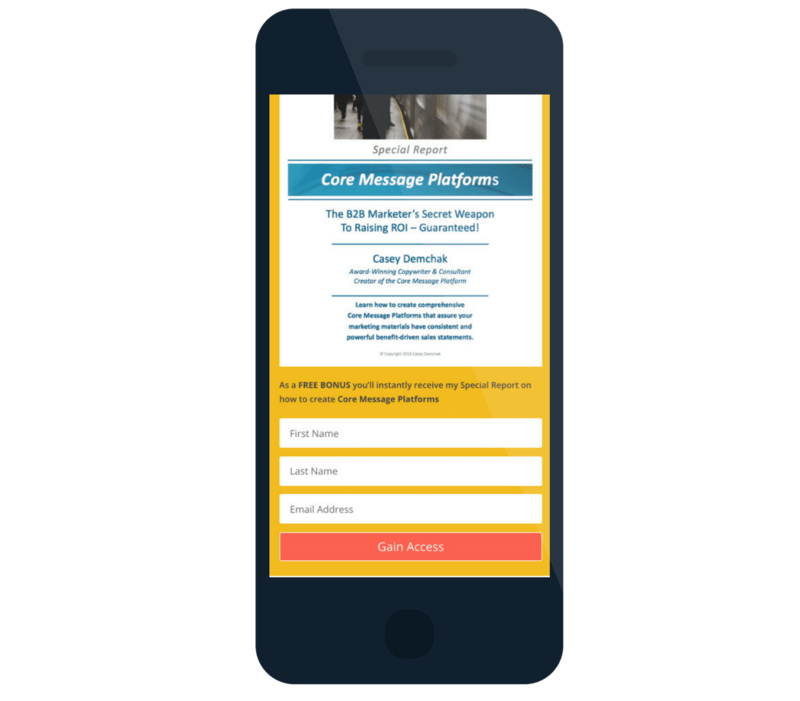 The home page immediately tells a customer who Casey is, provides easy ways to get in touch with him, and includes an embedded video helping visitors get to know him personally. This web contractor’s business marketing is largely based on content, a smart decision! His new website supports his marketing with a blog page that automatically updates to show his most recent posts and it’s featured image. 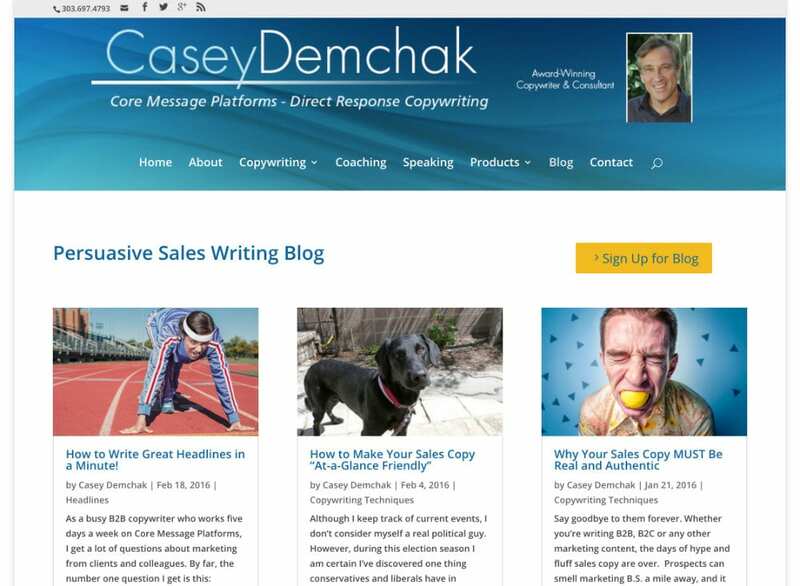 With the combination of great fresh content and a fantastic SEO-friendly blog, Casey’s blog drives new leads to help his business grow. The website makes it very easy to convert with email, phone number, and a contact form. The contact form gets emailed directly to their sales team. It also gets logged in a database as a backup, just in case an email ever gets lost. 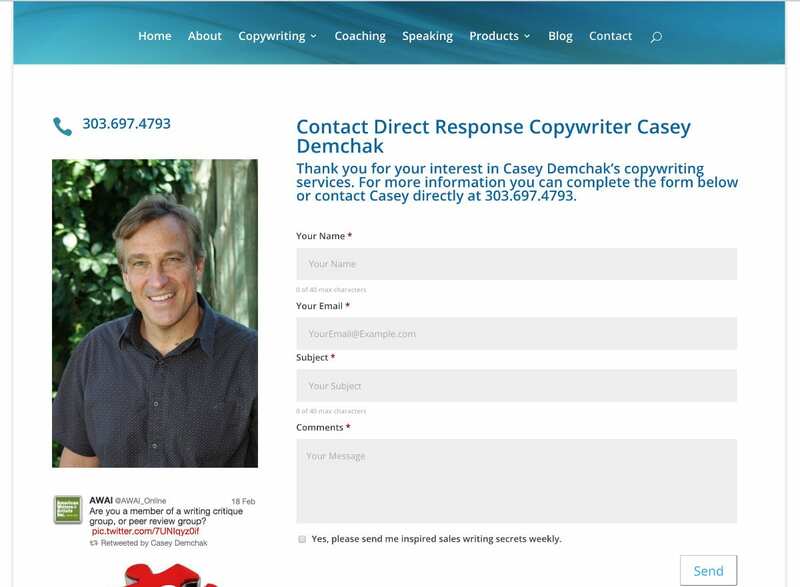 Casey’s form lets visitors decide to opt in for his weekly email marketing newsletter.